Our society is raising too many animals for food – nine billion in the United States, and perhaps 70 billion worldwide. Producing and raising that many animals requires huge inputs of resources – billions and billions of bushels of grains, enormous tracts of land, and vast quantities of fresh water and fossil fuels, to name a few. The rearing, transport and slaughter of these billions of living creatures adds dangerous levels of methane and carbon dioxide to the atmosphere, warming the planet and threatening our communities. On top of all that, we throw away more than a billion animal bodies a year, raising them, putting their meat on our plates, and then dumping them in the trash. We throw out 22 percent of all meat. That’s a disgrace, a colossal waste of animals’ lives, and a moral crime against animals and humanity. Our society is raising so many of those animals harshly and inhumanely. 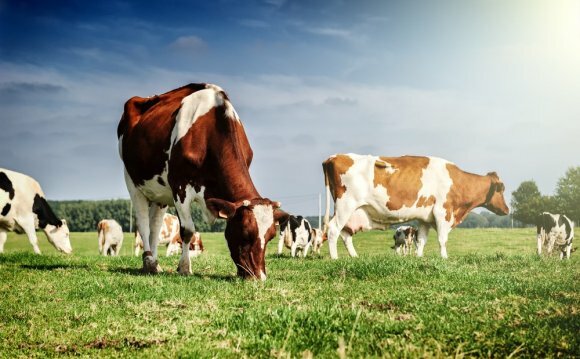 Within the last 50 years, agriculture has become thoroughly industrialized, with the forced migration of animals from pastures and into windowless, overcrowded, stinking, ammonia-laden buildings. In some cases, factory farms immobilize the animals in small metal cages and crates barely larger than their bodies. They cut off parts of the animals’ bodies as routine management practices. And they alter their growth rates and size, so much so that some animals are unable even to stand. They suffer from chronic lameness, inflammation, and other catastrophic health conditions within their short, brutish lives. I could say much more about the ills of factory farming, including its impacts on public health and personal health issues and its role in pollution and the dissolution of many of our rural communities. But I’ll get to the point of today’s blog – which is to ask for your understanding and your help. At The HSUS, we are taking on factory farming from every angle – because the magnitude of the problem requires our full focus and a wide range of tactics. We are banning confinement practices through legislative and public policy work. We are working with food retailers to reform the treatment of animals in their supply chains (we’ve got a ground-shaking announcement coming tomorrow, so check the blog at 9 a.m.). We are suing factory farms for polluting and threatening the environment—and winning. On Monday, for example, the Minnesota Court of Appeals sided with The HSUS and members of a community fighting a massive new gestation crate pig factory in Todd County. This facility planned to drink up eight million gallons of groundwater per year. As part of that fight, we’re asking consumers to eat more plant-based foods and empowering them with the tools they need to do so. In fact, we just worked with the Houston school system to expand its Meatless Mondays commitment and to offer healthier, plant-based foods to kids. And when consumers do eat animal products, we’re asking them to seek out the highest welfare products available. We’re also, making gains in Brazil, Canada, China, Mexico, the European Union and other parts of the world. When you take on such challenges, there’s pushback. The Farm Bureau, the pork producers, the cattlemen and their political allies are all on the attack against The HSUS. They push legislatures to pass ag-gag measures to thwart our investigations or “right to farm” measures” – in effect, to freeze their abusive current policies in place and to forbid any future reforms. They hire PR hit men and scammers like Rick Berman, who sets up phony front groups to attack us and to try to sow division within our movement. We know who they are and we’ve got their number. But we do take a different type of pushback very seriously – from stalwart animal advocates who share our commitment to animals, but disagree with an occasional tactic of ours. We respect their views and want to address their concerns. Through our HSUS Colorado Agriculture Council – which consists of farmers and ranchers who are HSUS members – we sponsored an event in Denver where several restaurants touted the fact that they are offering more humanely and sustainably raised animals products and abstaining from offering factory-farmed meats. We heard from more than a small number of supporters that the event – and our sponsorship – made them queasy. Indeed, I think they are right that the very name – Hoofin’ It – sounded disrespectful to the animals, and that alone raised alarm bells with caring people. We get that not everyone is going to be comfortable with all of our approaches to fighting factory farming, and we’ll be mindful of getting involved with events that drive our end goals of reducing suffering and driving consumers to make more conscious eating choices. But we are asking everybody to stretch –corporations, consumers, lawmakers, farmers, and even our supporters and colleagues within the animal protection movement. The kind of change we are seeking won’t happen overnight, and it won’t happen if we all head down the same path. If we want solutions in a pluralistic society, we need pluralism when it comes to tactics. We are investing in and promoting plant-based foods so that people have good vegan and vegetarian choices in the marketplace to reduce or replace their meat consumption, and we also want real options supplied by real farmers for people who eat meat and want products that don’t come from abusive factory farms. The domesticated turkey is a large poultry bird. The modern domesticated form descends from the wild turkey (Meleagris gallopavo), one of the two species of turkey (genus Meleagris); in the past the ocellated turkey (Meleagris ocellata) was also domesticated.